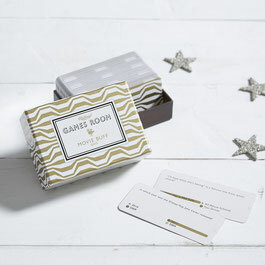 If you are wondering just what to give the movie lover in your house this Christmas, why not take a look at our fabulous selection of 20 movie-themed gifts! 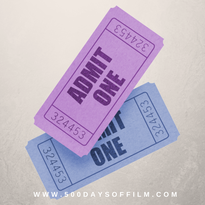 Expert critics in each genre of film, from romance, horror and sci-fi, have compiled this list of essential must see-movies, cut and added films to bring the must-watch list bang up to date for 2016. Available from: All good book shops. I love the film inspired t-shirts from Last Exit To Nowhere. 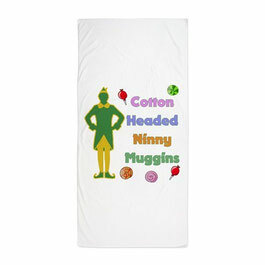 They have a fabulous range of clothing for adults and kids featuring classic images from a wide variety of movies. 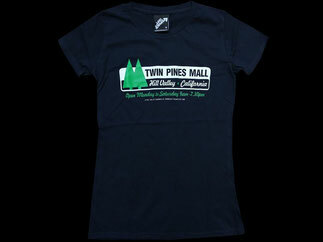 The t-shirt pictured, for example, is (of course) from Back To The Future. Who doesn't love a munch whilst watching a movie at home? 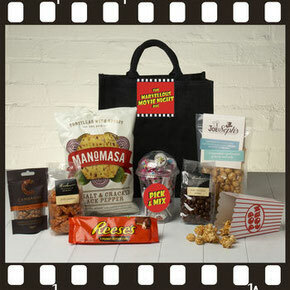 With this goodie bag you will be all set for a yummy movie night. There are tortilla chips, gourmet popcorn (with a classic popcorn carton to really make you feel like you are really at the flicks), some American confectionery classics and they've even created their own Pick & Mix containing a range of retro sweet favourites. The Princess Bride is one of my favourite movies and I love the fact that you can now get playing cards that feature all of the classic characters! Brilliant! I'd be very tempted to add these to my Christmas list! 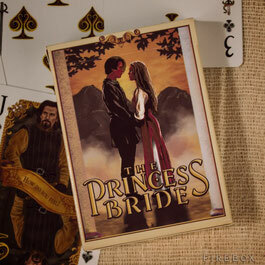 If you are wondering what all the fuss is about, check out my review of The Princess Bride here! I love a good cocktail every now and then and yet, sadly, I have no clue how to make most of them! 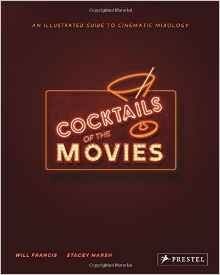 Each cocktail in Cocktails Of The Movies is features the recipe, the method, a history of the drink and a synopsis of its scene. Each recipe is also accompanied by beautiful full size, colour artwork. The first of a couple of fun Star Wars themed gifts (I wonder why these would suddenly be popular?!!) on this list. 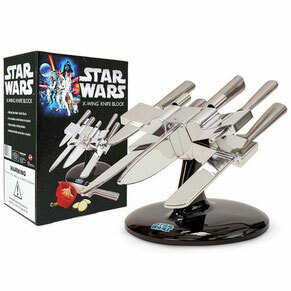 This X-Wing Knife set comes complete with five stainless steel knives and a solid stand. It certainly caught my eye! A perfect gift choice for the Jedi in your life. Who doesn't love a good movie quiz? I know that I certainly do! As a result, I am thinking about adding this game, from Ridley's Game Room, to my wish list. Why not test your film knowledge on everything from old classics to modern day Hollywood blockbusters? I have been thinking of getting a few classic poster prints for quite a while. I just love the comprehensive selection on offer from Firebox. 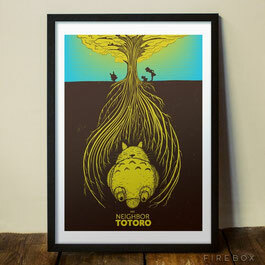 I have to be honest, I am tempted to get the My Neighbour Totoro poster (pictured) right now! 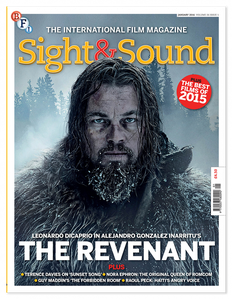 I subscribe to Sight & Sound, the British Film Institute's monthly film magazine. I would highly recommend getting a subscription to this magazine for the film fan in your life. Each issue is packed with quality film reviews, feature articles and news. A movie gift that will keep on giving throughout the year! There are so many fun ways to experience the cinema - from rooftop screenings to underground cinema, from pillow cinema to watching movies under the stars. I'm thinking that tickets to events such as these would make a wonderful Christmas gift. Just because summer is now but a distant memory doesn't mean that we can't think about lying in the sun by the pool! In fact, I think this is a key tip for winter survival! Why not treat your film fan with one of these brilliant movie-themed beach towels? There are so many to choose from - and you don't have to save them for summer! 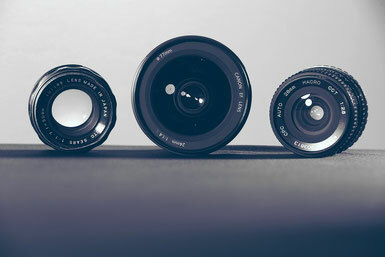 Have you ever wondered how some people end up sounding so cine-literate? How they can watch a film and then talk for ages about how it was obviously inspired by this or clearly pays homage to that. Well, wonder no longer. They have probably just read The Story Of Film by Mark Cousins. 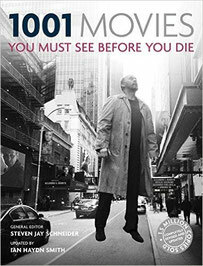 I have this book and it is an informative, comprehensive (ie it is not just about Hollywood) and really enjoyable read. 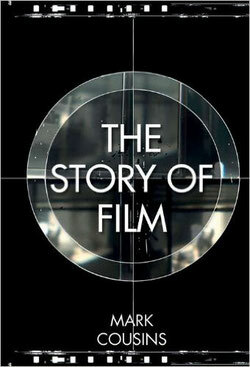 Just don't become a sniffy film bore now will you! 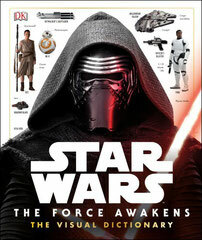 Probably the most eagerly anticipated film of 2015, Star Wars The Force Awakens is a must see for any film fan. However, after the long wait, what will we all do once we have actually watched this movie? I'm thinking that this visual guide could be just the ticket. Going to the cinema is not a cheap event these days. 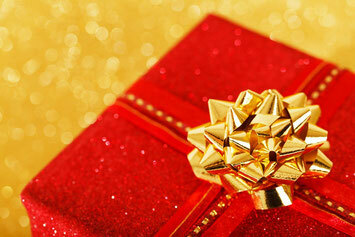 That is why a cinema gift card can make the perfect Christmas present. Simply find out your loved one's nearest cinema and buy them a month/year's worth of guilt free movie watching! DVDs may seem old school, but you still can't beat the feeling of actually owning a movie. Movie box sets make great Christmas gifts - and there are loads to choose from! For example, post Spectre, you may want to re-watch some classic Bond films. 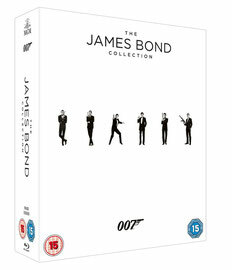 For £49.99 you can give someone The James Bond Collection, which features 23 classic films. Available From: All good DVD retailers! 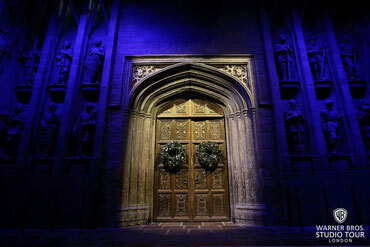 I was lucky enough to visit the Harry Potter Studios in Leavesden this year. I had a fantastic day there reading all about how the movies were made and of course, ordering Butter Beer! Tickets to this studio tour are bound to be well received this Christmas! 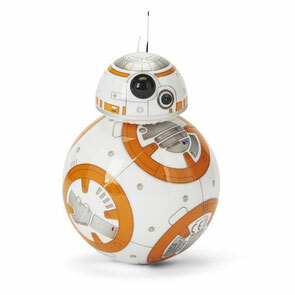 The most expensive item on this list, but the App controlled BB-8 looks like so much fun! This little Star Wars: The Force Awakens droid can also be controlled via voice commands and has been designed with in-built holographic communication capabilities. However, BB-8 also has a mind of its own and is able to function autonomously! I was fortunate enough to be in the audience for The Movie Doctors live show at the BFI Southbank a few weeks ago. 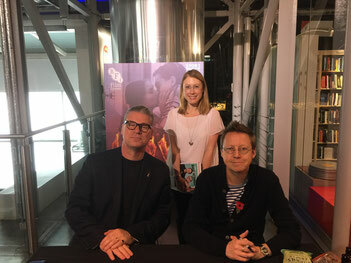 Film critic, Mark Kermode, and radio host, Simon Mayo, talked about their new book, which I have (how ridiculously star struck am I!) and I would highly recommend. A bit of fun here but with serious, practical advantages too! 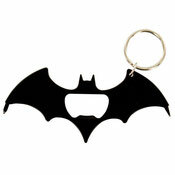 This Batman Multi Tool includes a bottle opener, a cross head screwdriver and a flat head screwdriver. It also comes with a handy key ring! Who could ask for anything more? There are now lots of ways to watch movies at home. Why not treat your favourite film fan to a wealth of movies via an on demand subscription? I don't know about you, but I am now in the mood for some serious shopping! What do you think about this list? Anything look tempting? If so, let me know in the comments section below. And if you have found another perfect gift for a film lover, do share!